For several years, the lower face and jawline has been the focus of facial rejuvenation. In fact, the defining surgery for facial rejuvenation has always been a lower facelift, a procedure that improves the jowls and helps to define the jawline. More recently, however, the focus for many has shifted to the midface. A youthful midface is characterized by high, strong cheekbones that transition well with the lower eyelids. 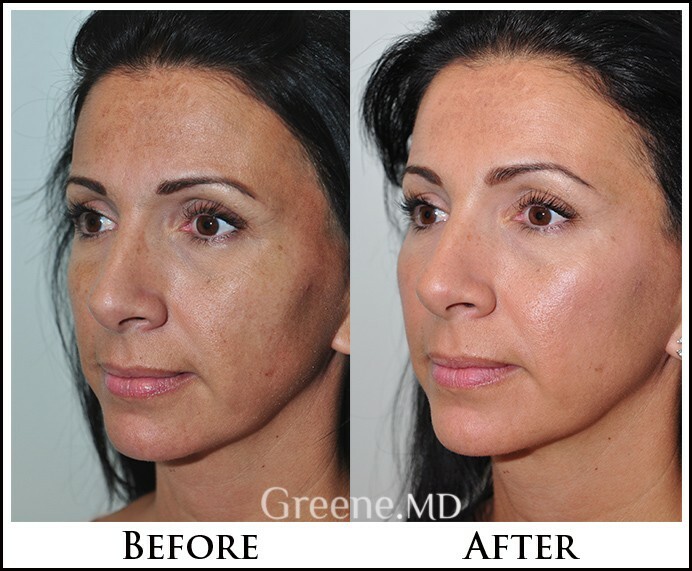 A youthful midface can help add definition and balance to the other facial features. It is also in the midface where many patients start to lose facial volume. One of the hallmarks of facial aging is the loss of facial volume. Much of this can be explained by the loss of facial fat. This decrease in facial volume can make the face look like it is sagging and create wrinkles and folds. One example is the development of nasolabial folds; for years, it was believed that these were due to descent of the facial tissues. We now know that they are also due to the deflation that occurs in the midface. 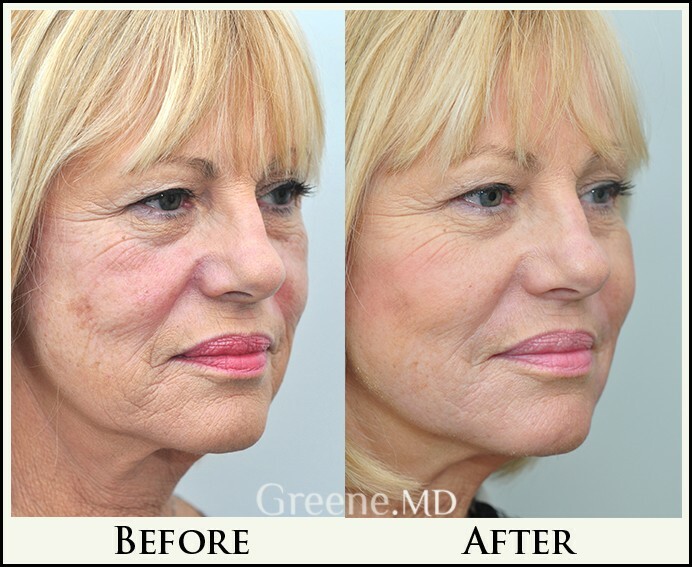 Even while Dr. Greene was in training many years ago, he noticed the effects that the midface had on facial aging. He also saw that facial rejuvenation was often inadequate when only the lower face was addressed. As a result, his approach to facial rejuvenation has always included an emphasis on the midface. 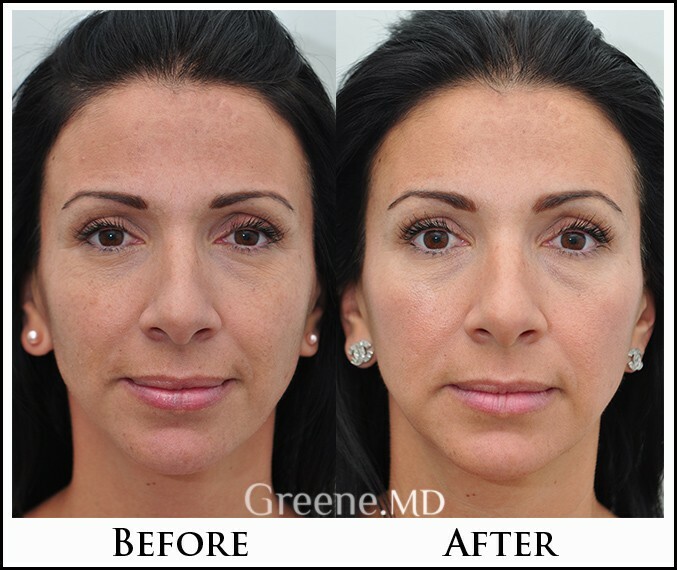 From restoring volume to the midface, the lower face is also rejuvenated as well. 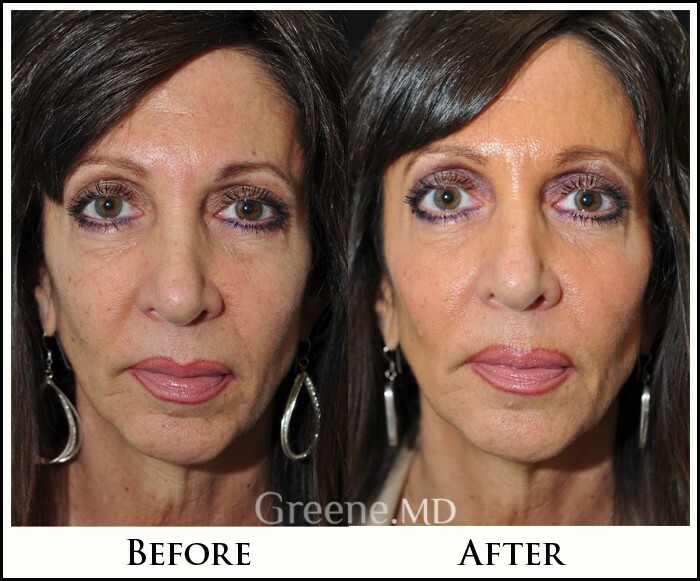 Dr. Greene’s choice for volume is facial fillers. While a number of physicians prefer to use fat injections to add volume, fat can be very unpredictable. Fat transfer procedures also require significant experience in order to achieve consistent results. And while many consider fat to be the ‘permanent filler,’ many patients note that the results do not last as long as they had hoped. On the other hand, facial fillers are safe and predictable, and do not require anesthesia. Modern facial fillers are long lasting and produce natural results. Some of these results can even last up to two years. There are a number of facial filler options available, but only a few are well suited for the cheeks and midface. Juvederm Voluma is a hyaluronic acid (HA) soft tissue filler that gained FDA approval in 2013; however, it has been available in Europe since 2005. 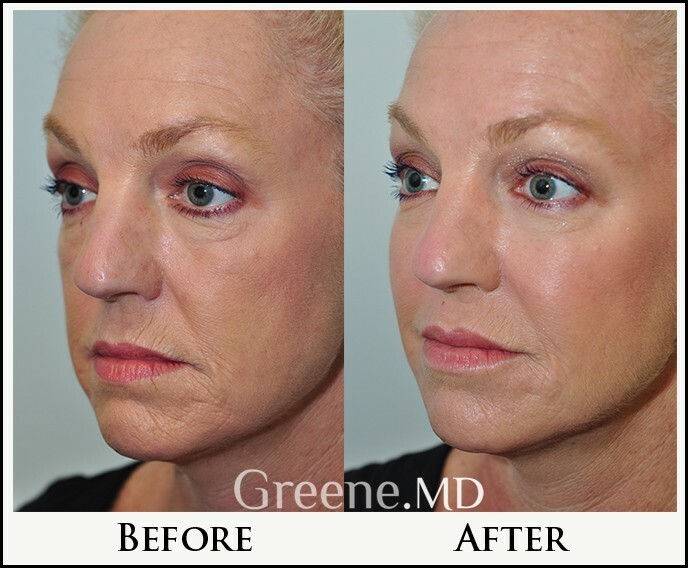 This filler is the hallmark of Dr. Greene’s Liquid Cheek Lift. His approach and injection technique creates natural results. A lot of patients are nervous that cheek augmentation leads to a very ‘plastic’ look, but with a properly executed Liquid Cheek Lift, patients always look natural. There is an art to a Liquid Cheek Lift. The injector must understand not only the complex anatomy of the midface, but also the three-dimensional contours created by the soft tissues and underlying skeletal framework. The cheeks help to frame the face, and provide support for the tissues of the lower face. Fortunately, a natural cheek enhancement can help to restore balance to the face, creating a ‘lifted’ state that makes the patient look younger and more refreshed. 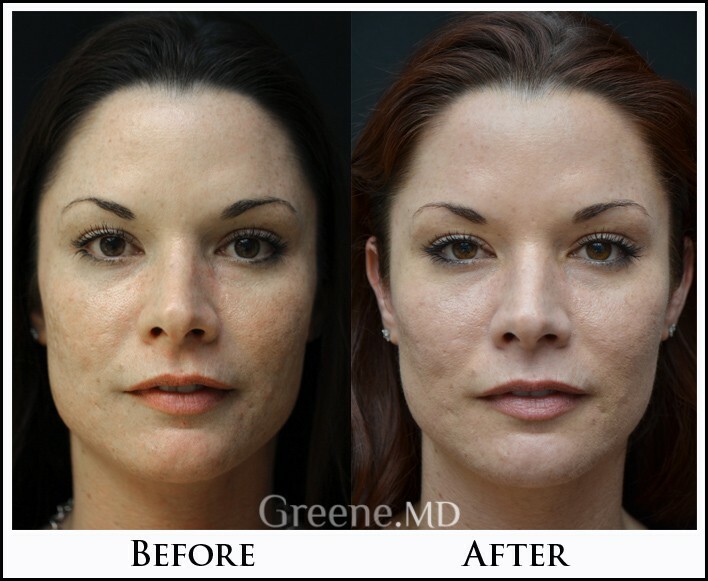 Dr. Ryan Greene is a master injector who is recognized by his peers for his injectable expertise. After thousands of filler injections, he is a respected authority on facial fillers, serving as a national trainer for Allergan (the makers of Juvederm and Voluma). He is known for creating natural and long-lasting results using cutting edge techniques that he has refined. Even with a modest amount of filler, the cheeks can have a noticeable improvement. And by adding volume to the midface, there are often other improvements noted as well. 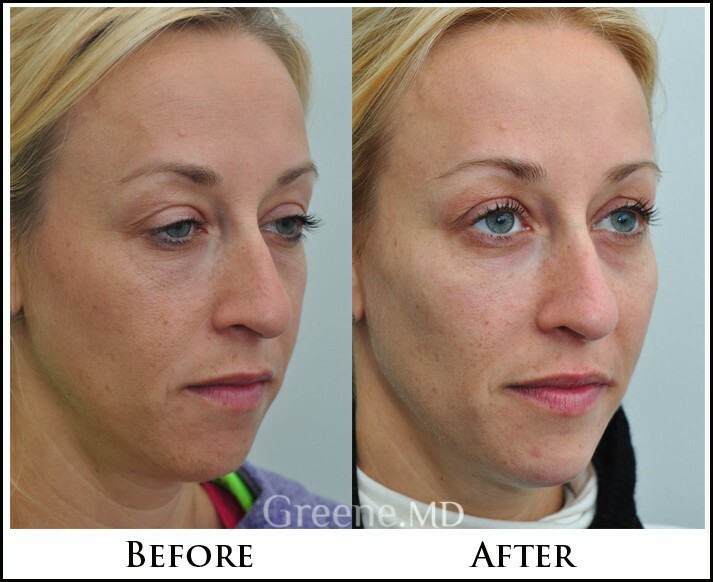 In many patients, the nasolabial folds and under eye area (tear trough) are improved as well. 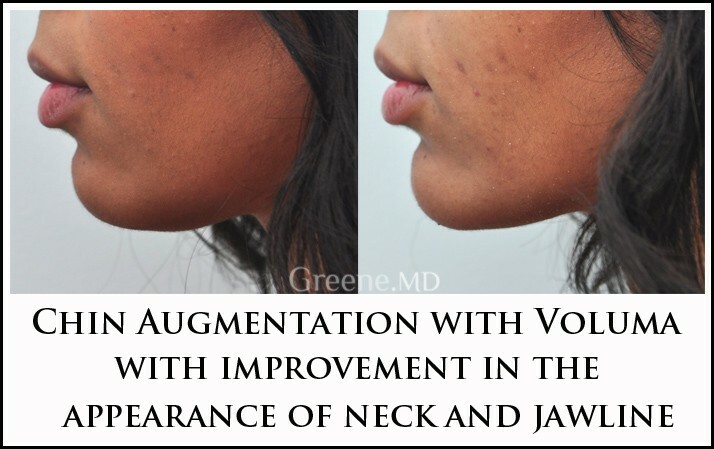 There is often visible improvement in the jawline and jowls, due to the increased facial volume. But the most impressive improvement usually occurs because of the emphasis on the midface and the cheeks. 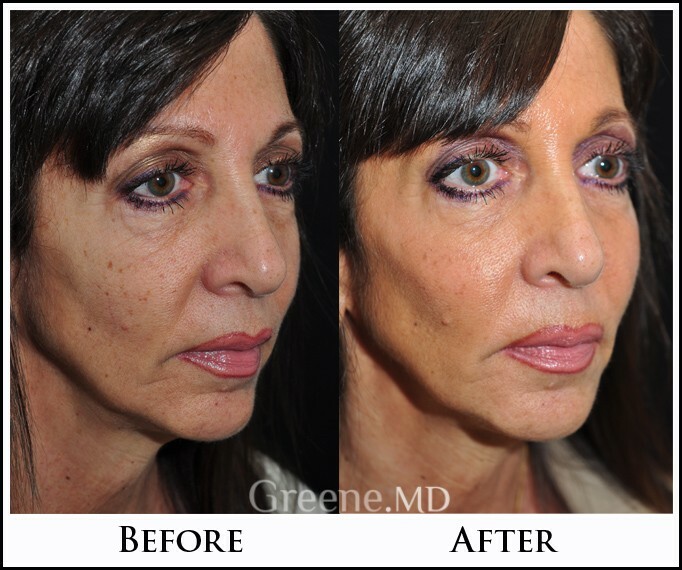 Juvederm Voluma and Radiesse are common fillers used by Dr. Greene for treatment of the cheeks. 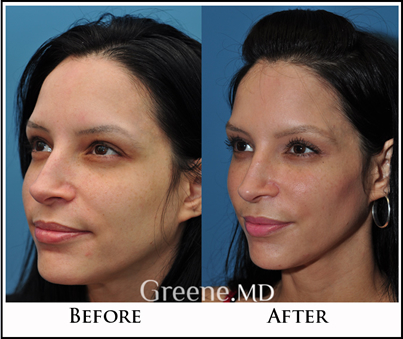 Depending on the patient’s desires and their facial features, Dr. Greene will select a treatment plan for an optimized facial rejuvenation. 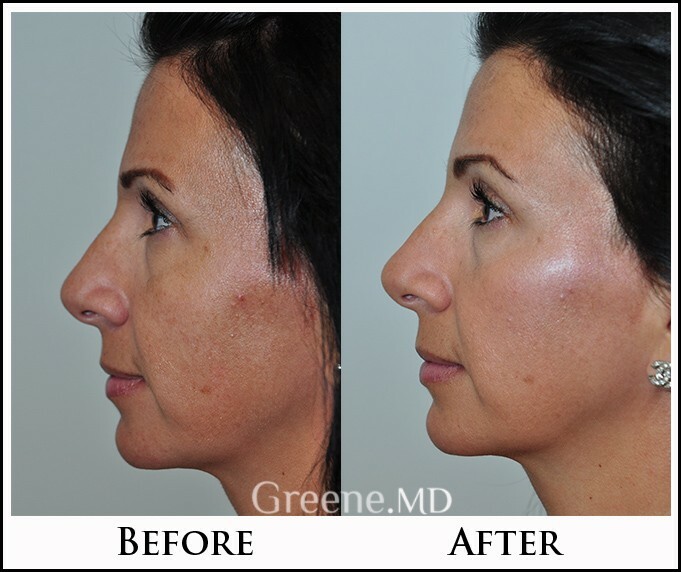 And while many patients assume that these treatments are painful, discomfort can be virtually eliminated with Dr. Greene’s specially formulated anesthetic cream and injection technique. WHAT IS A LIQUID CHEEK LIFT? A liquid cheek lift is an office-based procedure that enhances the appearance of the cheeks and midface. Materials most commonly used for these procedures are Juvederm Voluma and Radiesse. Patients who seek cheek augmentation have a desire for more volume in their cheeks. By adding volume to the cheeks, the skin surrounding the midface is also tightened, often improving the nasolabial folds and jawline as well. WHO IS A GOOD CANDIDATE FOR A LIQUID CHEEK LIFT? Any individual who has lost facial volume may be a good candidate for a liquid cheek lift. Patients with underdeveloped cheeks who desire more cheek definition benefit as well. And while fat transfer procedures can help to restore volume, a liquid cheek lift offers a long-lasting alternative without the need for anesthesia. 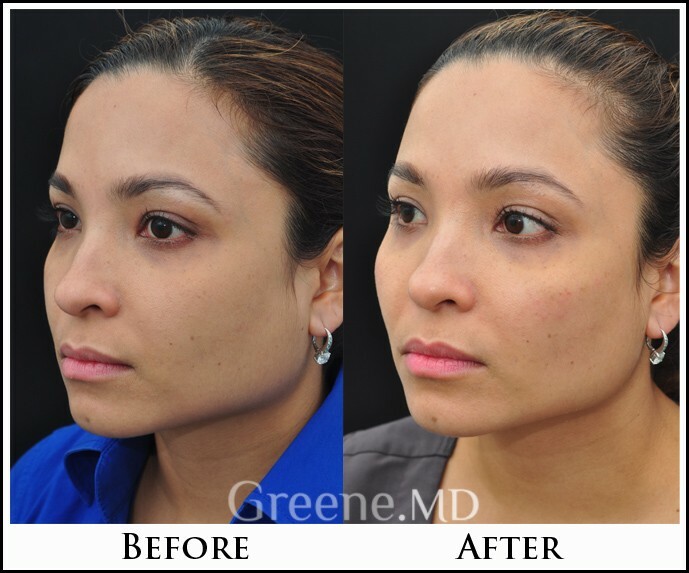 WHY CHOOSE DR. GREENE FOR MY CHEEK AUGMENTATION? CAN CHEEK FILLER CREATE A CONTOURED LOOK? Cheek filler can create either a contoured look or an over-injected "fat face" look depending on the technique used, anatomic spaces filled, and volume injected. Sometimes filler can also create an over-contoured appearance with sharp features. I have developed my own technique to develop a soft contour by injecting specific areas of the cheekbone to maximize lift while maintaining a natural appearance. The choice of product depends on a patient’s particular anatomical needs and desires. Each filler has its own characteristic look in the cheeks and while these differences are subtle, selection of the appropriate filler for a given patient is extremely important to create the optimal result. The products I use for cheek augmentation include Juvederm Voluma, Restylane Lyft, and Radiesse. HOW DO YOU AVOID UNNATURAL LOOKING CHEEKS? Creating natural appearing cheeks requires artistry, good judgment, and excellent technique. 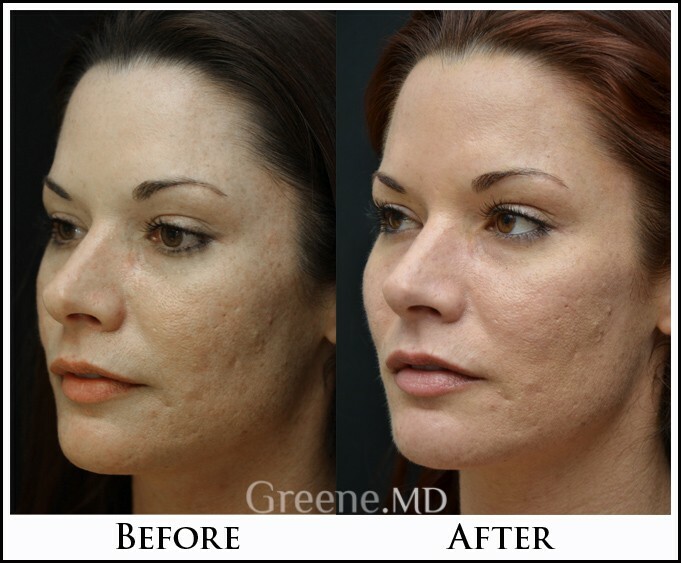 Dr. Greene takes pride in creating natural appearing filler results, and is sought by patients throughout Florida for his cheek augmentation procedures. HOW LONG DO THE RESULTS OF A LIQUID CHEEK LIFT LAST? 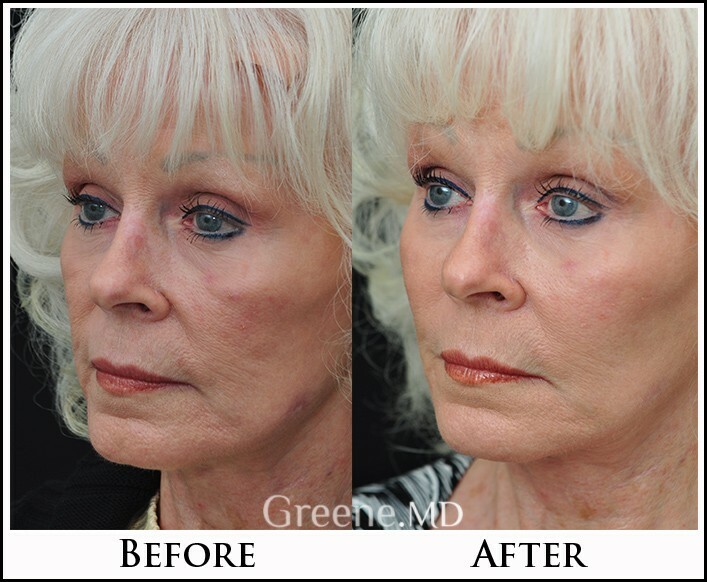 The results of liquid cheek augmentation vary from patient to patient. However, in experienced hands, the results should last at least nine to twelve months, or even up to two years in some cases. IS A LIQUID CHEEK LIFT DIFFICULT TO PERFORM? The midface is one of the more difficult areas to inject. Achieving consistent results requires an experienced injector and an expert understanding of facial anatomy. And to avoid complications, a careful injection technique is mandatory. So while there are a number of inexperienced injectors who attempt to address the midface, patients should understand the importance of an experienced injector. Juvederm is a facial filler made up of hyaluronic acid, a naturally occurring substance that helps to bind water to cells. 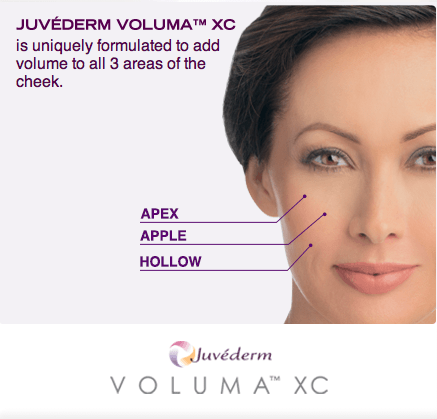 Juvederm Voluma is a very cohesive filler that is an excellent choice for areas like the cheeks, chin, and temples. It has also been shown to last up to two years in clinical studies. Like other hyaluronic acid fillers, it appears smooth and natural when placed in the cheeks. WHAT TYPE OF ANESTHESIA IS USED FOR A LIQUID CHEEK LIFT? The majority of procedures are performed with topical anesthesia. There is typically minimal pain associated with cheek augmentation. WHAT IS THE EXPECTED RECOVERY AFTER A LIQUID CHEEK LIFT? Some minor swelling is expected, which usually resolves within a few days. A small percentage of patients will also develop minor bruising that can usually be covered with makeup. Patients should avoid exercise for twenty-four hours after the procedure to minimize swelling. Otherwise, patients can resume work and normal activities.